EA Mobile is having a 25 Games ‘Til Xmas Sale in which they will have one game on sale every day until Christmas. Yesterday, Trivial Pursuit was on sale for $1.99 (down from $4.99). 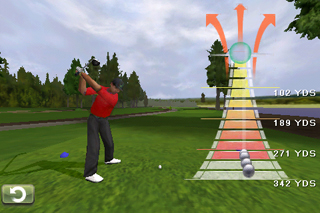 Today, Tiger Woods PGA TOUR® BY EA SPORTS™ is on sale for $2.99 (down from $4.99). We will keep you posted on the daily sales. Play a round of golf or two with a buddy using local WiFi & Bluetooth Multiplayer! This a great game with a lot of replay value. Probably my favorite game on my iPhone. Isn’t this slightly ironic considering the news lately?